W. J. “Bill” Usery, Jr., is best remembered as one of the sharpest and most effective labor mediators in Washington, DC, and beyond, known for averting or mediating strikes in both the public and private sectors. With little formal education or training, he earned his chops on the job – as Grand Lodge Representative for the Machinists at the Kennedy and Marshall Space Centers in the 1960s, serving the Department of Labor and the Federal Mediation and Conciliation Service under Presidents Nixon and Ford in the 1970s, and facilitating workplace agreements between the United Auto Workers, General Motors, and Toyota Motor through his highly successful Bill Usery and Associates mediation firm in the 1980s. 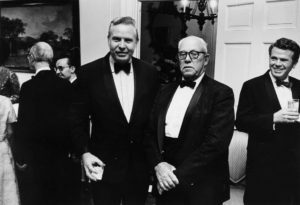 Usery was also a great supporter of Georgia State University: in 1985, he donated his vast personal collection of papers, photographs, and recordings to the Southern Labor Archives, part of the University Library’s Special Collections and Archives. 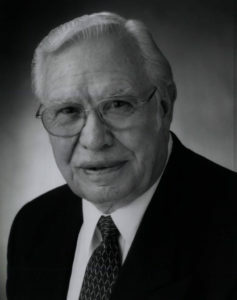 The Usery Center for the Workplace was founded here in 1997 and in 2004 the William J. Usery, Jr., Chair of the American Workplace was established in the Andrew Young School of Policy Studies. Usery was named a Distinguished Executive Fellow by the Young School in 2005. Despite his formidable presence and razor-sharp negotiation skills, those who knew him also knew of his generous spirit and his compendium of fascinating stories, all taken from his diverse work and life experiences. 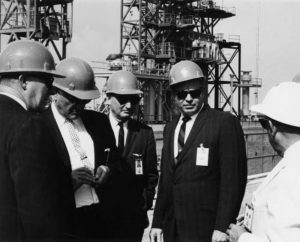 Usery died on December 10, 2016, in Eatonton, Georgia, and leaves behind a legacy of service to the federal government and tremendous acumen in the field of labor-management relations. Obituaries by The New York Times, the Wall Street Journal, and the Washington Post expand on his career as a mediator. A series of twenty-seven oral histories in Usery’s Digital Collection provide deeper insight into all aspects of his life and career, such as his early years in Milledgeville, Georgia, his time as a representative of the International Association of Machinists and Aerospace Workers (IAM), his working relationship with Presidents Nixon and Ford, and his accomplishments as director of the Federal Mediation and Conciliation Service. 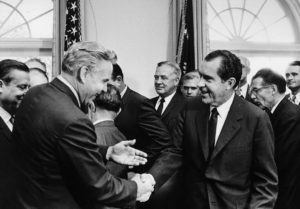 Usery’s personal papers, comprising over 140 linear feet of documentation, are part of the Southern Labor Archives, available in Special Collections and Archives, University Library, Atlanta Campus. For more information about the Usery papers, contact Special Collections and Archives at 404.413.2880 or archives@gsu.edu. Located on the 8th floor of Library South, Special Collections and Archives is open for research Monday through Friday from 9:00am-6:00pm. 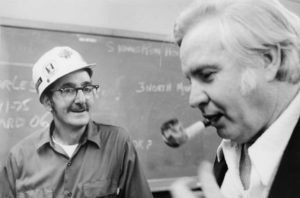 This entry was posted in Digital Collections, General News, History, Oral Histories, Primary Resources, Special Collections & Archives. Bookmark the permalink.